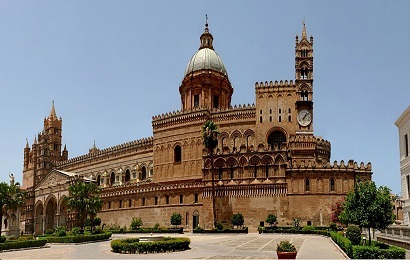 Then, we will drive to nearby Monreale where we will visit the Norman Duomo (Cathedral) decorated on the inside with over 6,340 sq. meters (almost 70,000 sq. feet) of mosaics and 24-carat gold!